IBM and Oncor unveil analytics for billions of grid data points, and applications from grid operations to consumer engagement. Big data — the smart grid delivers it, utilities are awash in it, and somebody’s got to step in to collect it, analyze it and start delivering real-world value from it. That’s the touchstone for a lot of the activity in the smart grid nowadays, as utilities with tens of millions of smart meters, hundreds of thousands of distribution grid devices and a confusing array of back-end software systems strive to make the most from their new technology. IBM is a giant in smart grid big data, with partners around the world using its IT heft to link up power meters, grid sensors, leak detectors for water networks, and other end devices into the back-end systems that make them run. One of its earliest test-beds for its smart grid vision has been Texas, where IBM has been working with utilities like CenterPoint Energy (happily so far) and Austin Energy (less happily). 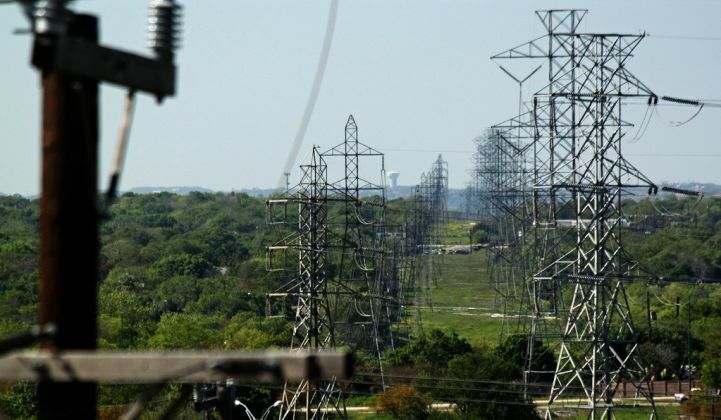 On Monday, IBM and big Dallas-area utility Oncor announced the latest achievement on this long-running relationship – a big data platform that’s analyzing Oncor’s 118,000-plus miles of power lines, crunching data from its 3 million or so smart meters from Landis+Gyr and meter data management software from Ecologic Analytics (both owned by Toshiba), and rolling out the results for both utility operations staff and to customers via the state’s smart meter web portal. “To be honest, it’s taken us some time to get here,” Michael Valochi, IBM’s global energy and utilities leader. First, Oncor had to build out the infrastructure – the smart meters, grid sensors and communications networks – to start collecting the data. Then it had to build the big data software and hardware infrastructure to start doing something with it. But from that point, “What big data allows us to do -- what we’ve announced today -- is using that integration, both at the consumer level and at the optimization layer,” he said. On the grid side, IBM and Oncor are also doing preventative maintenance, asset planning and all sorts of grid operations tasks that bid data analysis helps reveal. “We’re getting to the point where we’re detecting and fixing outages before the consumer knows they happened,” he said -- a far cry from the old-fashioned way of locating outages via customers calling in to complain. This kind of functionality isn’t brand new to IBM, of course. 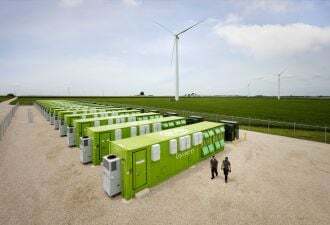 The company has been working on massive smart grid integration projects around the world, like South Korea’s Jeju Island project, as well as the entire Mediterranean island nation of Malta. IBM, Cisco, Microsoft and other big IT players are also deeply involved in “smart city” projects to link up municipal systems — including utilities in some cases – into intelligent networks. IBM has also begun to launch software products aimed at commercializing the expertise it’s developed through its utility partnerships, including a smart meter data analytics package last year that offers some of the same capabilities that Valochi described for the Oncor project. Of course, it has a long list of partners involved in each project, from the individual smart meter and grid sensor device makers it’s integrating, to software partner like Schneider Electric’s Telvent for distribution grid management, or OSIsoft for its smart grid-adapted big data management expertise, he said.